Finally, I can get a break from the new season opener and start to dig into the OVA backlogs I've accumulated over last couple of month. 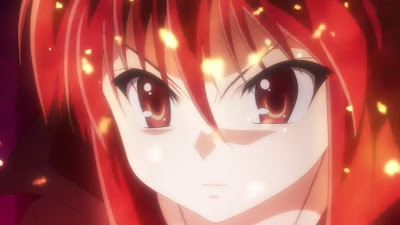 I'll start with Shakugan no Shana S.
Honestly, I'm not sure about the purpose of this OVA. Some say it serves as a transition to the third season, but I failed to see how. There are probably grant total of no more than 5 minutes of scenes that I can see that could potentially support a future plot--that is 5 minutes out of the total close 100 minutes of the OVAs spanning 4 episodes. So really, this is just the production studio trying to squeeze this famous franchise for a bit more cash in this economic hard time. filler episodes, nothing more. Except for the first one, i couldn't really complain contentwise.